The island of Ponza, one of the most beautiful off of Italy! Traveling to Italy? Our free online travel guide will answer any question you might have and if you want to experience some of Italy’s top attractions with a friendly, expert guide, check out our Italian walking tours. When it comes to Italy’s beautiful islands, Capri is just one of many! Here are five other spectacular islands off the Italian coast—all boasting gorgeous scenery, beautiful beaches, fresh seafood, and local character—that you probably haven’t heard of. Forget Capri. 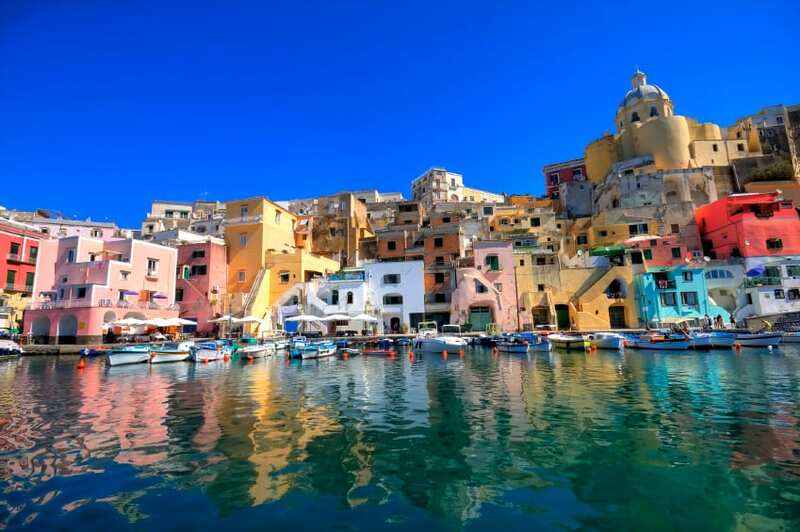 Colorful Procida is also an easy ferry ride from Naples, and with everyone else flocking to Capri (or, secondarily, Ischia), it’s easily the Bay of Naples’ least-touristy island. With its colorful fishing village, fresh seafood, and authentic character, it’s one of our favorite spots for a day trip from the coast. Throw in a trip to Procida when you visit Naples, one of the Italy’ unappreciated, but absolutely buzzing cities. Want to get away from it all? Then head to lovely Levanzo. This lovely speck of land sits off the northwestern coast of Sicily, in a chain of three islands called the Aegadian Islands (or Isole Egadi). 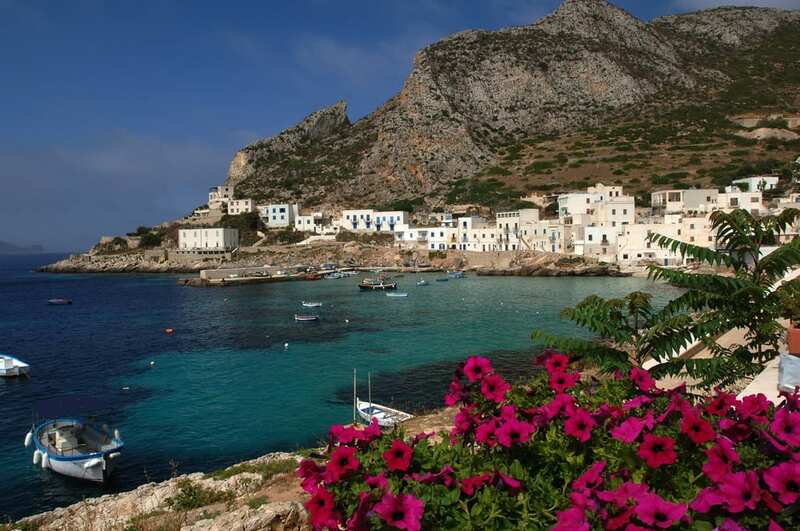 It’s Levanzo is easily reached as a day trip from Trapani or Marsala. 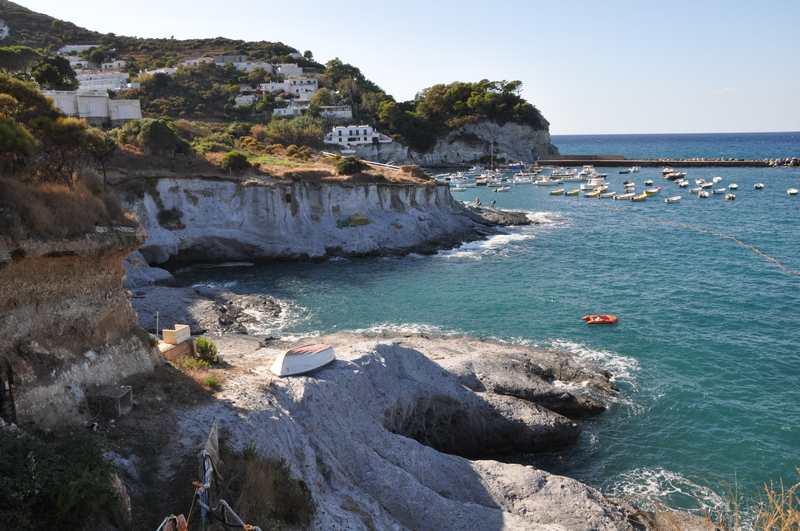 The island has just one tiny, peaceful village (Calla Dogana), tranquil beaches, dramatic cliffs, and lovely nature walks. For history-seekers, there’s also the Grotta del Genovese (visitable by boat), a small cave holding Paleolithic graffiti dating back to 9,680 B.C. If you want something with a bit more buzz in Sicily, go to Palermo and check out our Palermo City Guide. Many Romans make the trek to Ponza at least once over the summer, driving the hour to Anzio and then taking a 2-hour ferry ride to Ponza from there. That’s because the volcanic island is, quite simply, stunning. Its villages are quaint and its water incredibly blue. There are also ancient cave pools, called Pilate’s Grottoes, scattered everywhere. The island is so beautiful, even the legendary Circe chose it as her home; this is where she seduced and lived with Odysseus for more than a year. 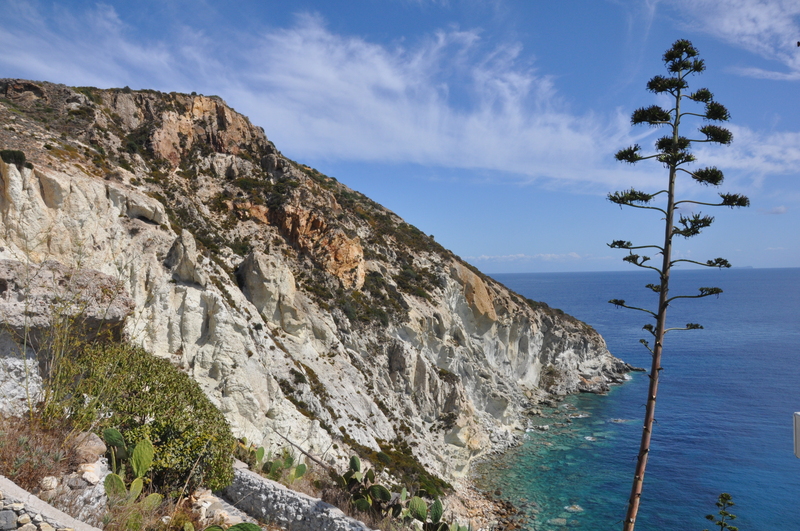 Okay, you might have heard of Elba—as the famed location of Napoleon’s exile. But it’s also an island well worth visiting for its own sake. 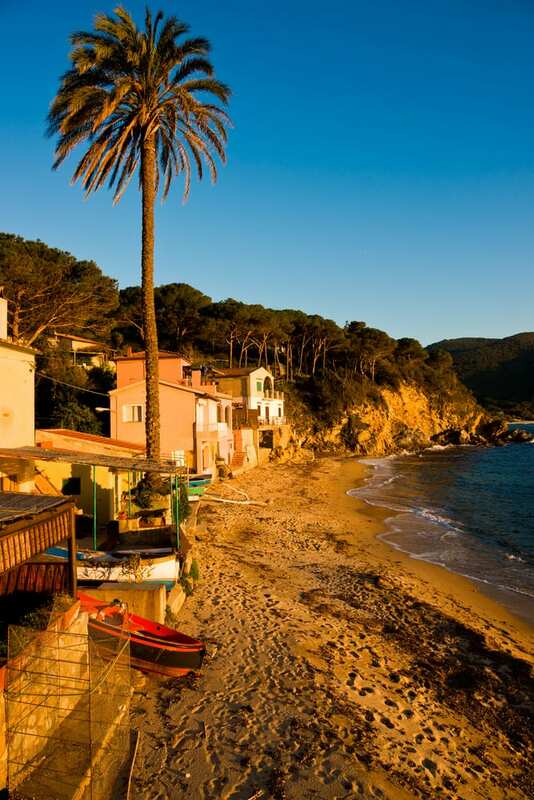 The geography here includes mountains, hills and beaches, the wine is renowned, and the history is fascinating, especially since Elba was French right up until the Italian reunification of 1860. Elba is easily reached by ferry from Piombino, a port town 2 hours from Florence or just 1 hour from Livorno. In the summer, Italians flock to the Aeolian Islands, a chain of eight spectacular isole off the coast of Italy. The inactive volcano of Panarea—at 1.3 square miles, the second-smallest island— is also one of the most lovely. 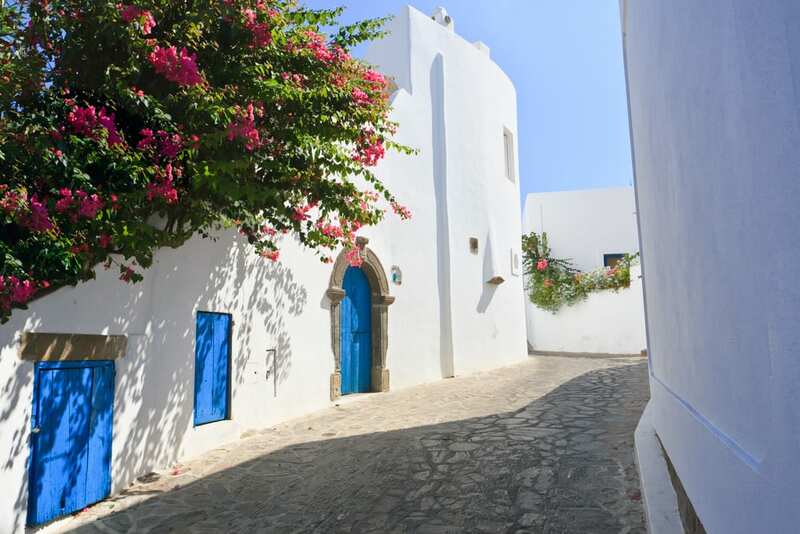 Although it’s become a favorite celebrity hangout in recent years, Panarea is an especially great destination for scuba divers, who particularly like diving the shipwreck just offshore. If you have any questions about what to see or how to get to Italy’s most beautiful islands, ask in the comments! What is the name of the southern Italian island where only donkeys are allowed for transportation? Hmm—are you thinking of Asinara? Other than that, we haven’t heard of an island in Italy that’s donkey-only, just Greece. Let us know! Probably is Ginostra a very little island of the Isole Eolie. Car are not allowed and donkeys usually bring the tourists from the port to the houses. It is a very particular site, close to Stromboli vulcano. It is reachable only via sea and its port is the smallest port in the world. Fantastic. I recently got invited to a sailing trip to these five islands. I’ve never traveled to Italy before and was wondering how hard and how long is it from Naples to Procida? Where to I find the best information on getting from the airport to the ferry? Wow, sounds great! Maybe this website can help you move around once on land: http://www.rome2rio.com/s/Naples/Procida . Have a great trip! wall lizard Podarcis siculus klemmeri and the lowest temp and highest temp recorded on the island–it seems this information is not available. My family and I are traveling to Rome this August. I learned too late that August was probably not the best month for vacationing in Rome. However, we will be flexible and have fun anyway. Anyhow, my daughter who is 6 will be traveling with us, and she would love to visit one of the beaches. I was thinking Ponza. Is this a good island for children? If not, what island/beach would you suggest (day trip from Rome)? How would you suggest that we travel from Rome to Ponza (or other location if suggested) for a day trip? August is certainly a crowded and hot month to visit, but people do it all the time and have a great time! We suggest you book museum visits (Especially the Vatican!) in advance and plan them during the hottest parts of the day. We think Ponza is a great island for children, however it’s not possible to do as a day trip, as it will take you at least four hours to get there. This website might help you to plan better your timing for your island trip: http://www.rome2rio.com/s/Rome/Ponza-Italy Have a great trip! We live on Ischia island, right next to the island of Procida. It’s such a beautiful place to visit between the months of April and October. And easy to get to from Naples, just 1hour with the hydrofoil. We offer the most amazing cooking classes by a true chef, our MAMMA Tina – doesn’t get any more genuine and traditional. And the pizza at our family restaurant La Casereccia is the best around! We have a small hotel on the hillside overlooking the town of Forio with beautiful sunset views. Highly recommend it! Just found your intriguing site. My wife and I are avid world sailors. Our Homeport is Anacortes, WA. We prefer Not to Bareboat Charter in Italy. (This has been our choice of adventure travel in the past). What we are looking for is a small personal tour thru lovely Med Island settings off the beaten track. A combination of perhaps being on board a small crewed sailing yacht to remote anchorages and towns in conjunction with spending time on land doing cultural/ historical tours would be exciting for us. Any ideas or help putting together an adventure vacation to Italy in the near future would be greatly appreciated. Unfortunately that’s not our area of expertise, but you might find inspiration in this article as well as other posts we have on Italy’s coastlines and islands. Here’s a guide to the Tuscan archipelago some more information on the Amalfi Coast and the best Italian Riviera towns. Good luck on your trip! It’s best to book your accommodation ahead of time, to ensure you’ll have a room!